With the holidays officially past, cooking is the last thing I feel like doing this week. Since we visited family for the holidays, I do not have a ton of leftovers and frankly, I do not need them. I did a quick search for something to do with chicken thighs and Cooking Light came to the rescue. This was simple, but so flavorful. Because broilers are finicky, pay close attention to yours. 2. Combine first 6 ingredients in a large bowl. Add chicken to bowl; toss to coat. 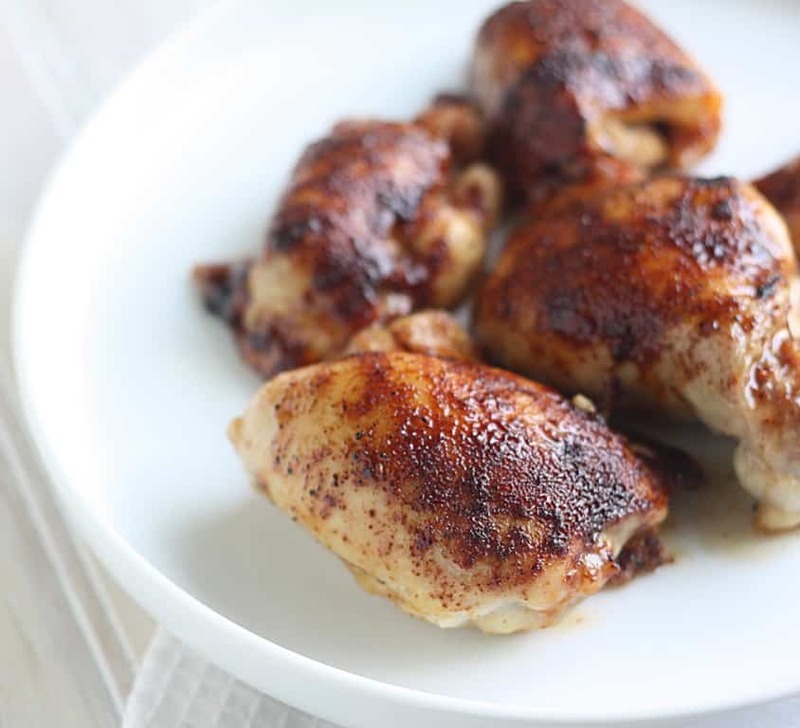 Place chicken on a broiler pan coated with cooking spray. Broil chicken 5 minutes on each side.